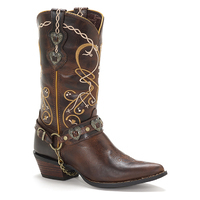 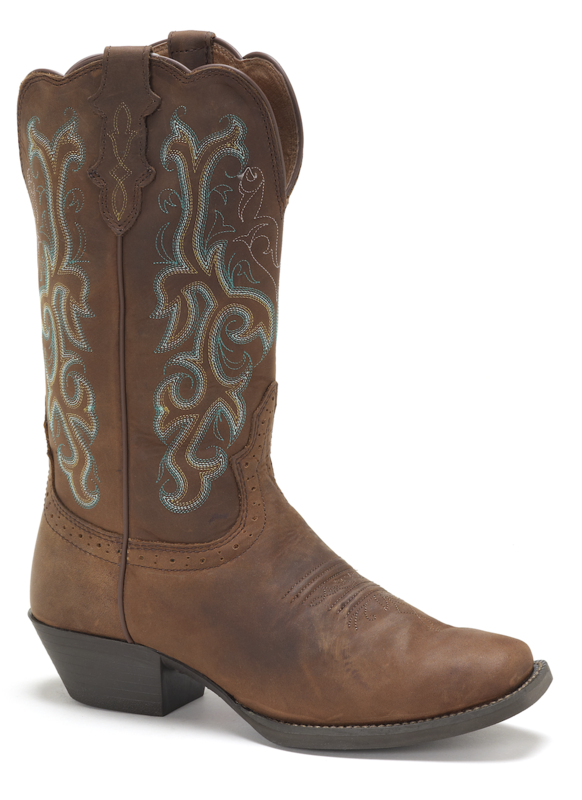 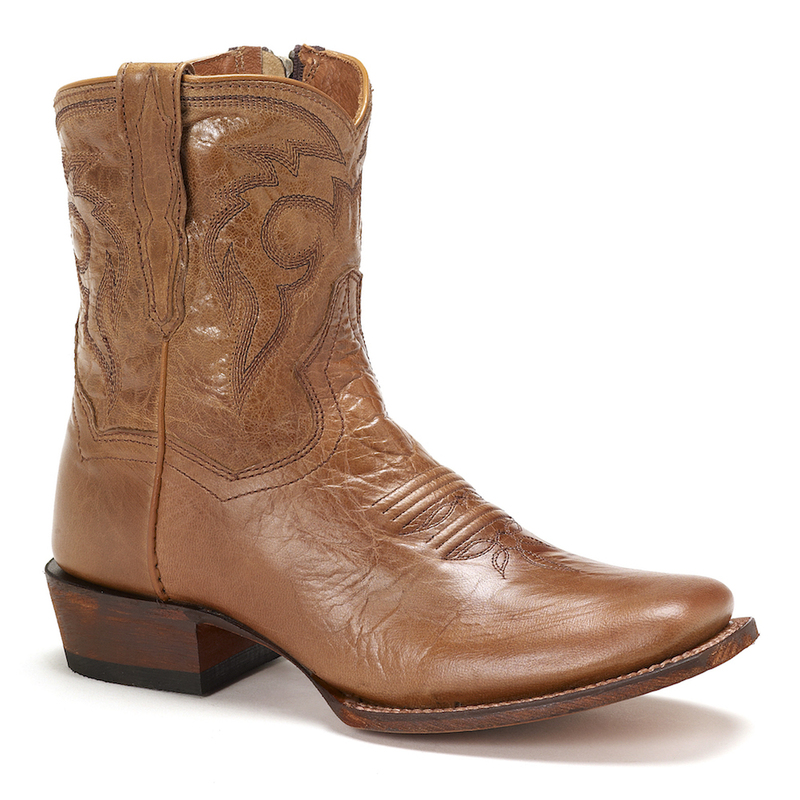 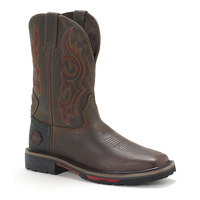 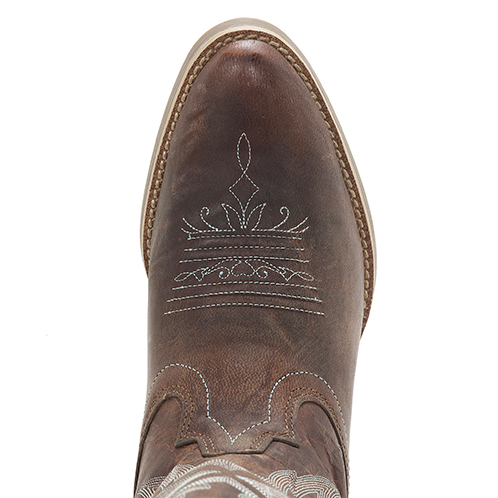 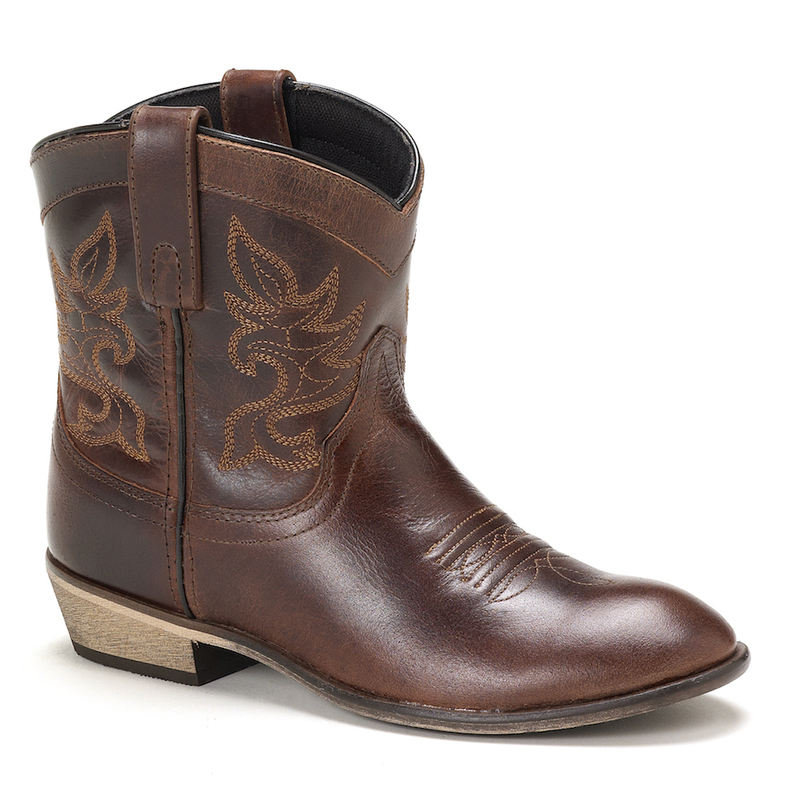 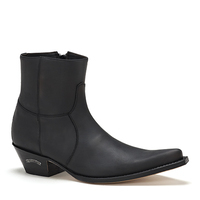 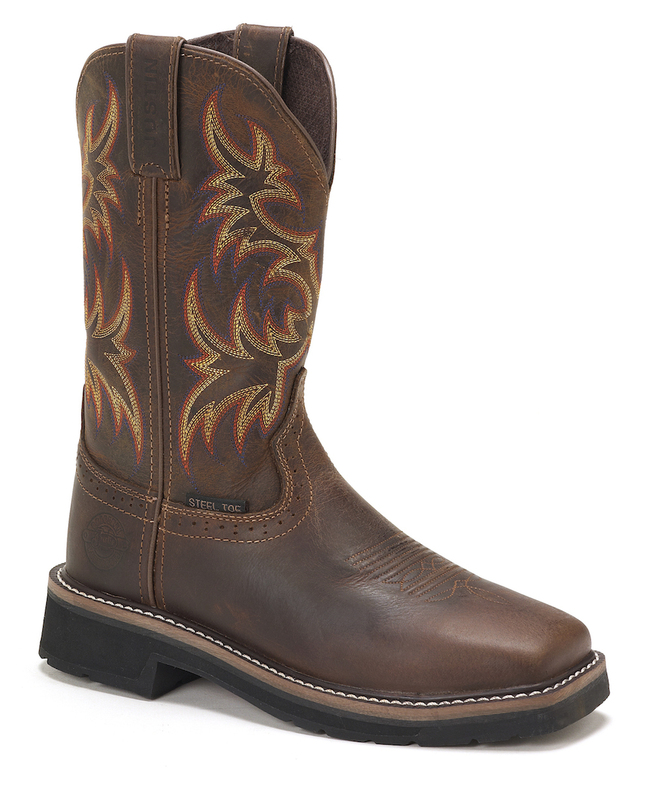 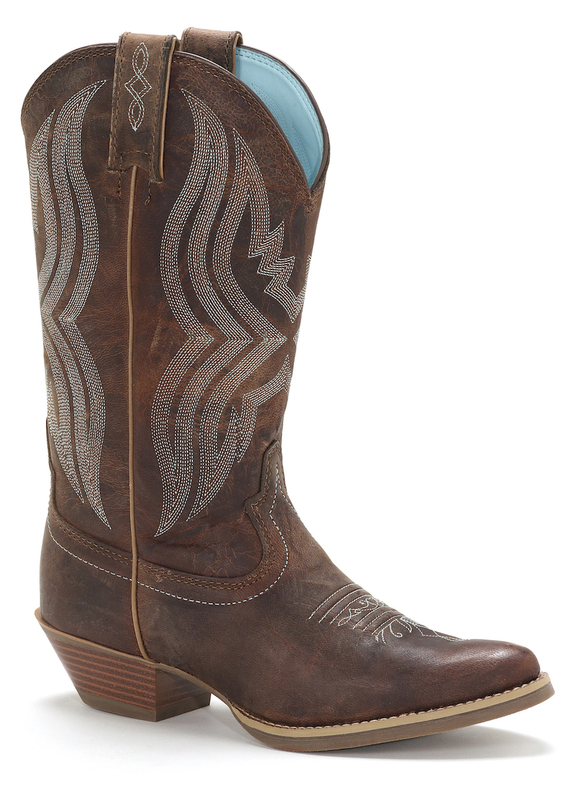 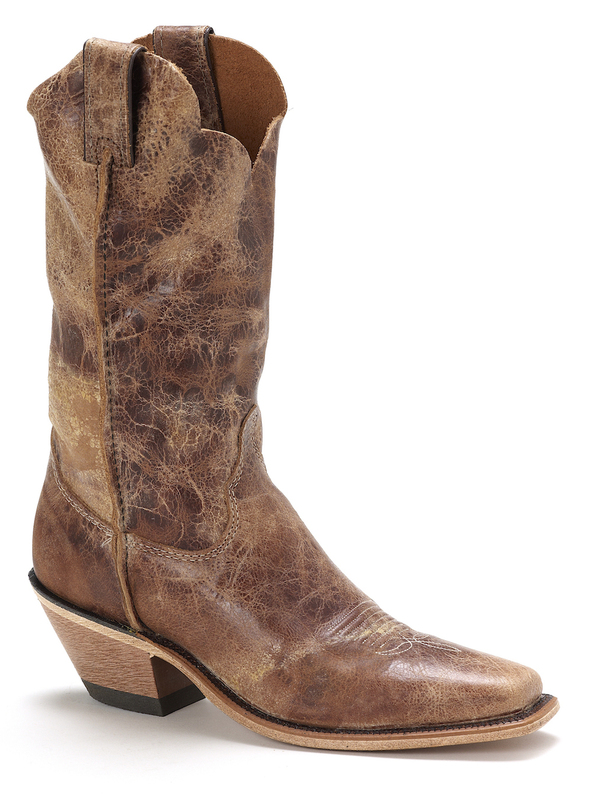 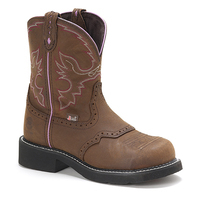 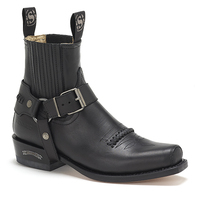 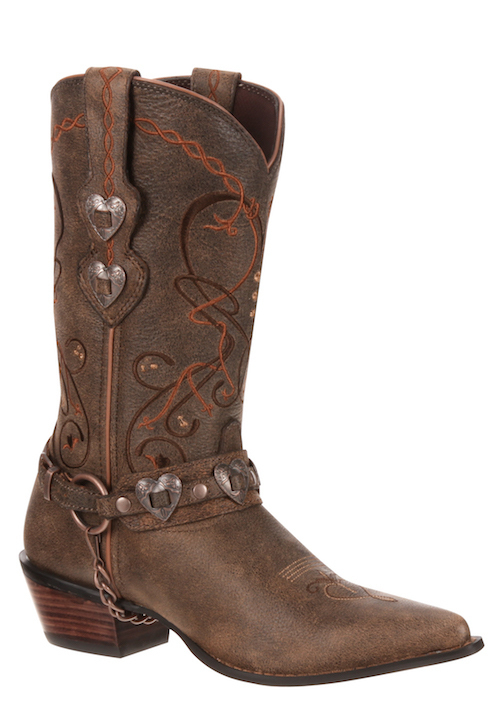 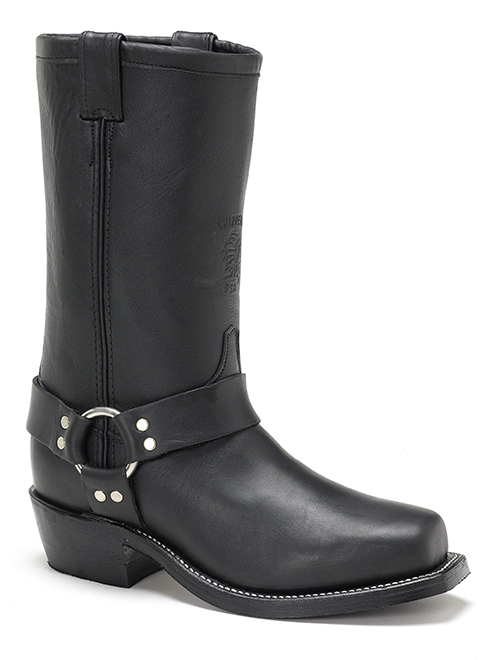 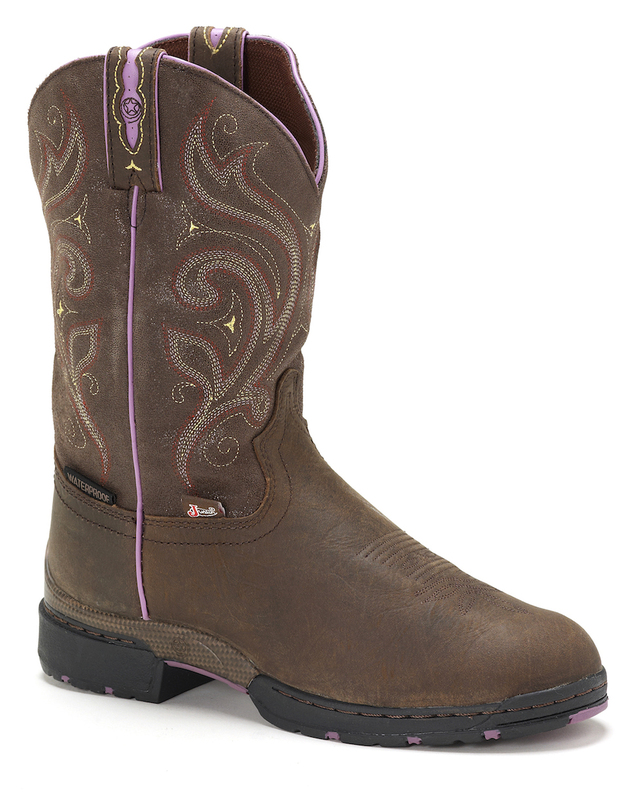 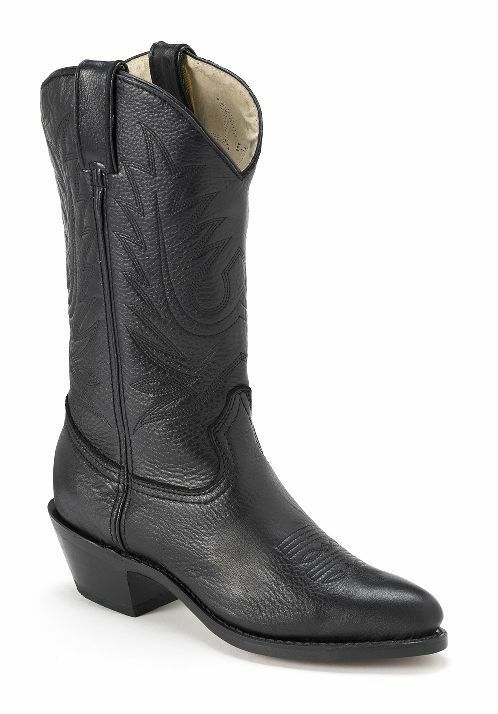 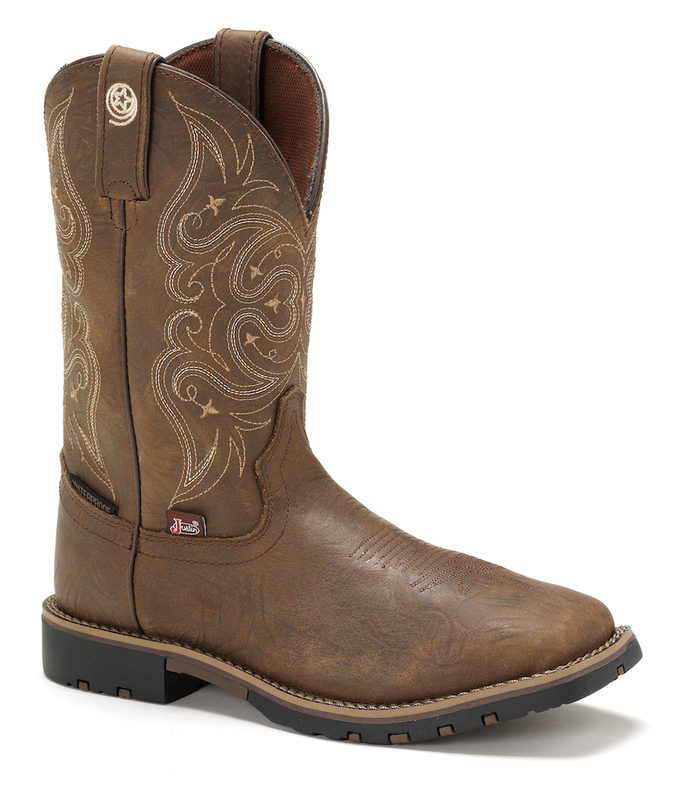 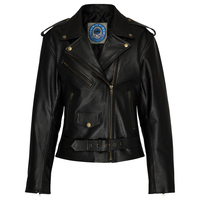 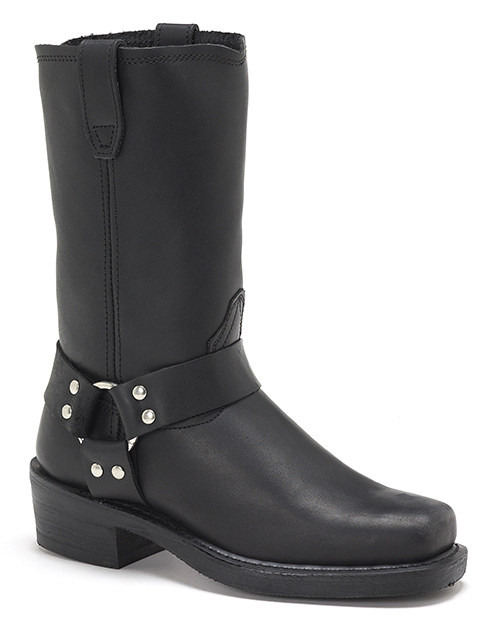 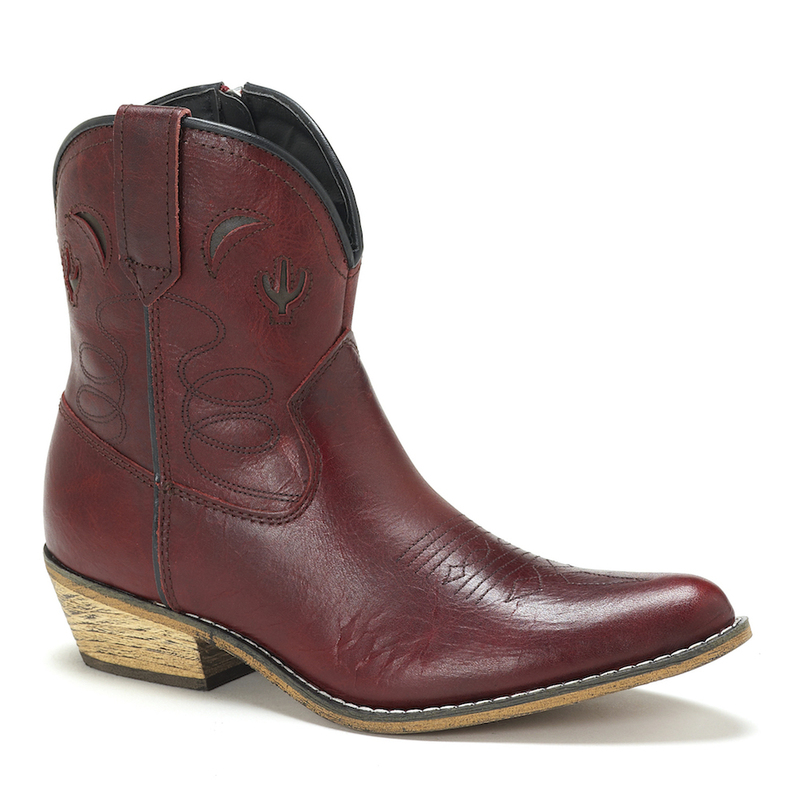 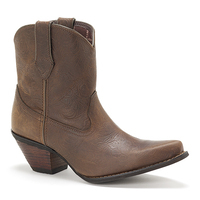 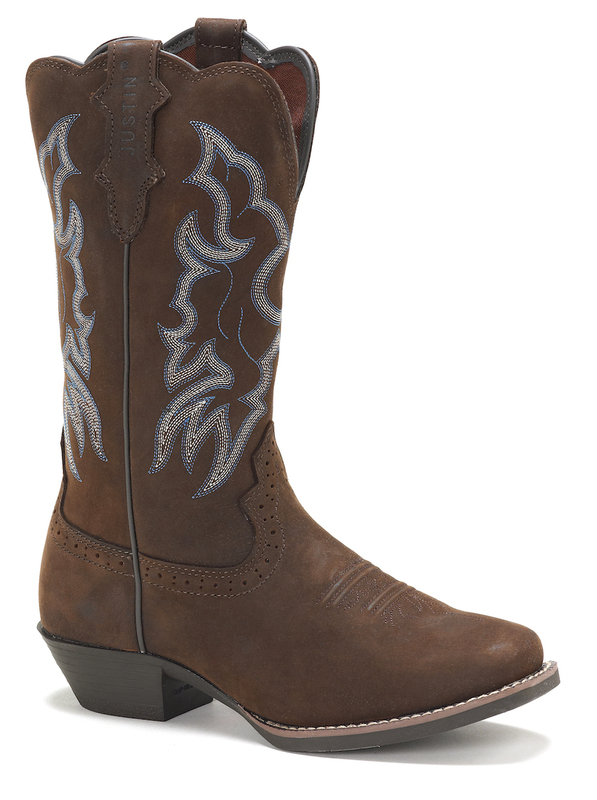 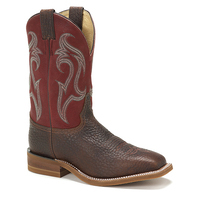 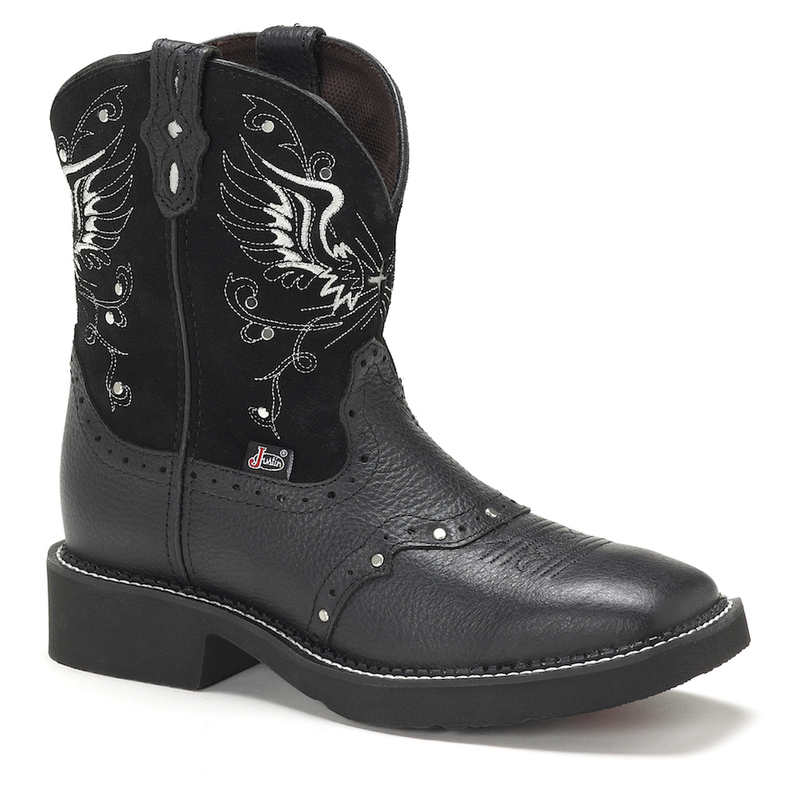 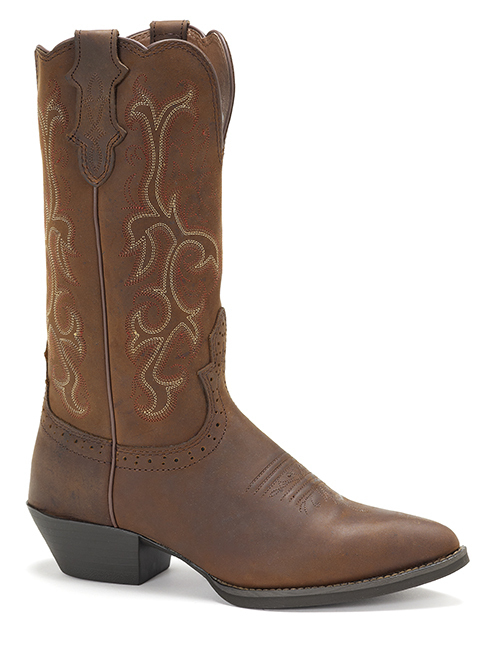 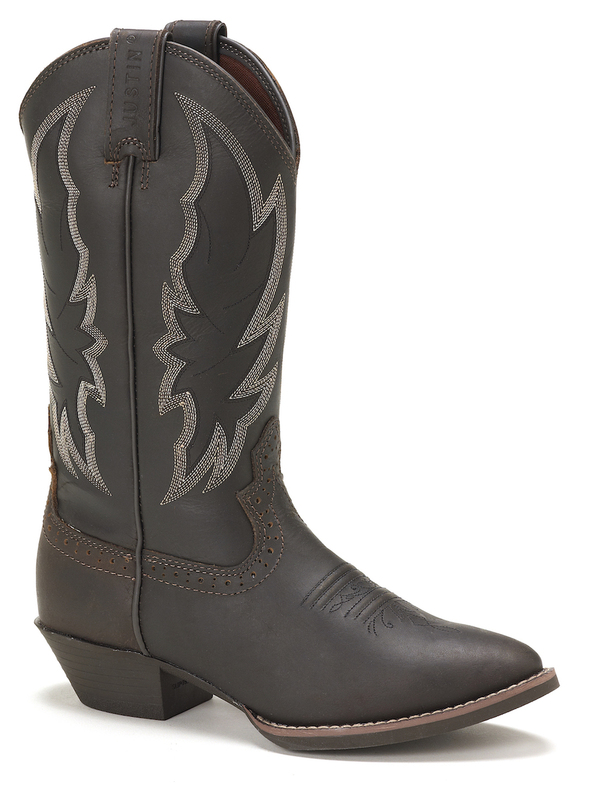 Rodeo or runway ready, the 11" tall Quinlan Coffee Women's cowboy boot is striking. 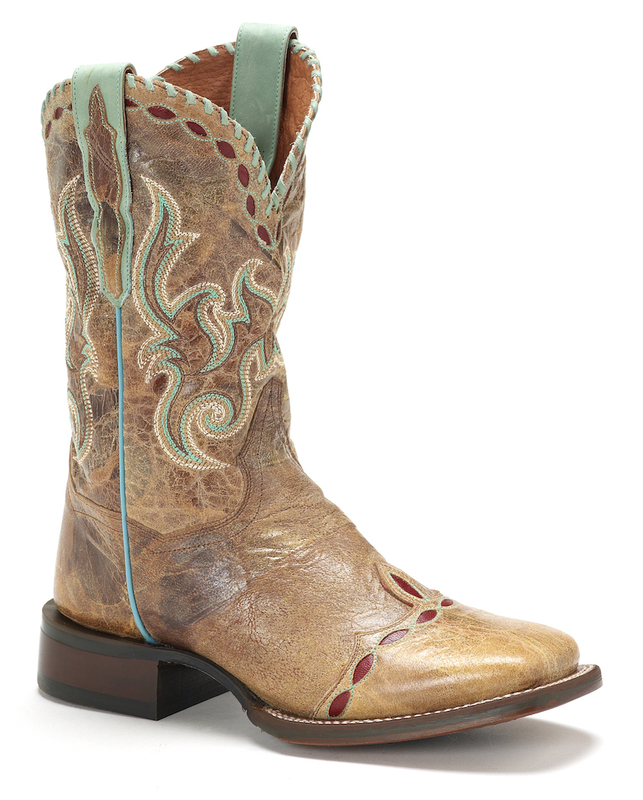 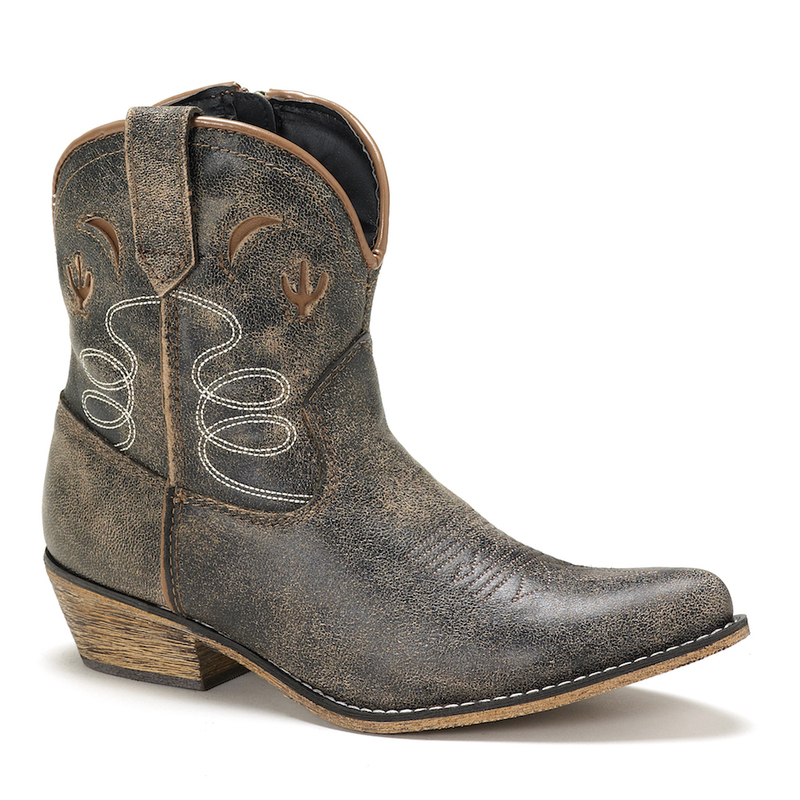 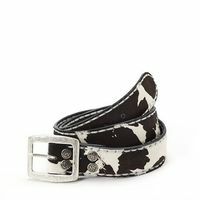 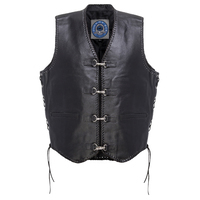 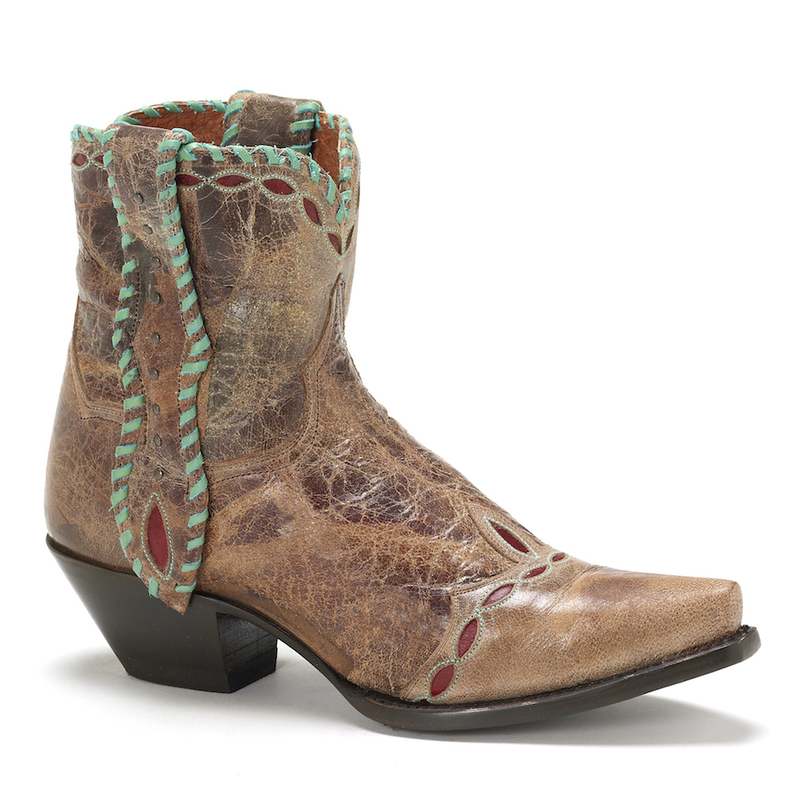 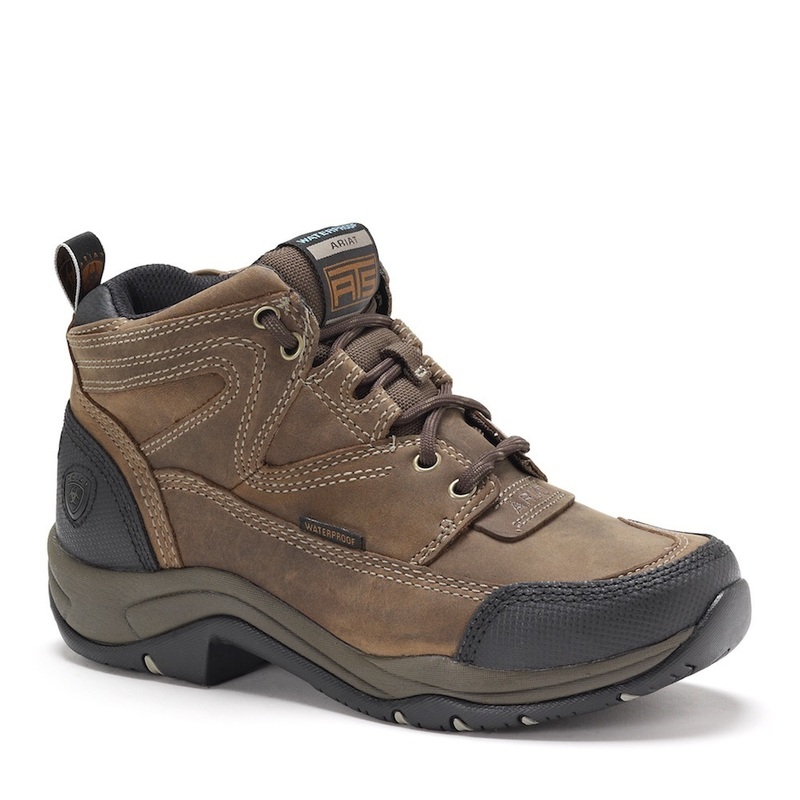 Its distressed marble brown leather exterior gives this boot a slightly vintage feel and is accented by a bold light green stitch pattern on the upper and pastel turquoise interior for a pop of color. 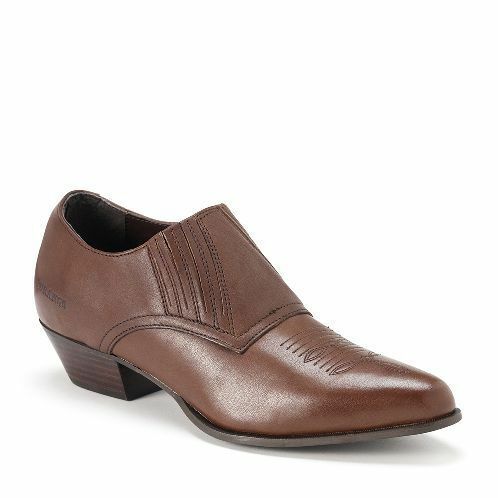 The narrow round toe and elevated heel add a feminine element to this classic silhouette. 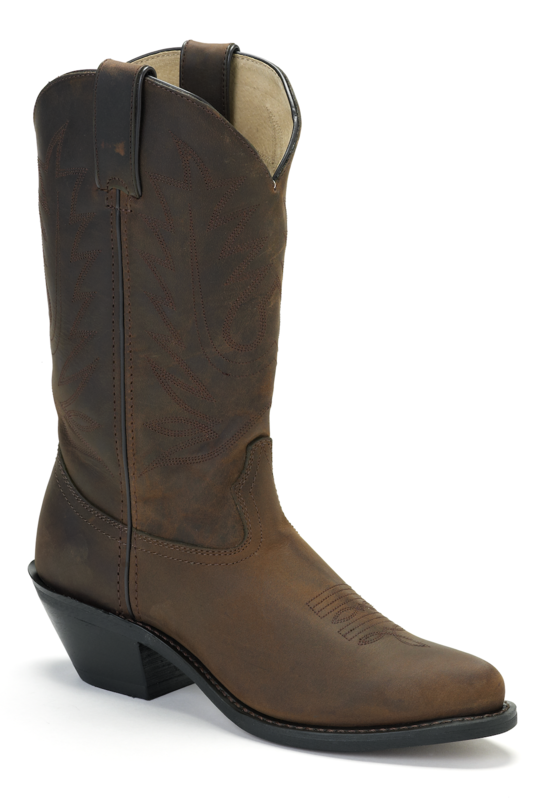 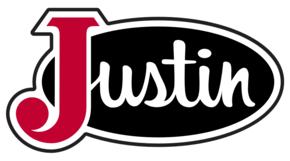 The J-Flex Flexible Comfort System® insole provides lasting comfort and rubber outsole gives this boot an extended lifetime of wear in or out of the saddle.